My burst of craftiness this month continues with something that I have had on my to-do list for about 4-5 months, almost the length of time we have lived in Inverness! In my planning time before we moved in, I had stocked up some pins on my Pinterest of pantries and ways that I could personalise the shelves… and I already had a tin of blackboard paint from a previous burst of craft over a year ago, so I got to work! I literally slapped the paint onto the shelves after edging the tops with masking tape and left to dry whilst we went to the gym! Then all I had to do was to peel the paint off and add my labels. I had thought of doing stencils (which I may still do at some point) – the beauty of this system is that I can change the labels for each shelf at any time! 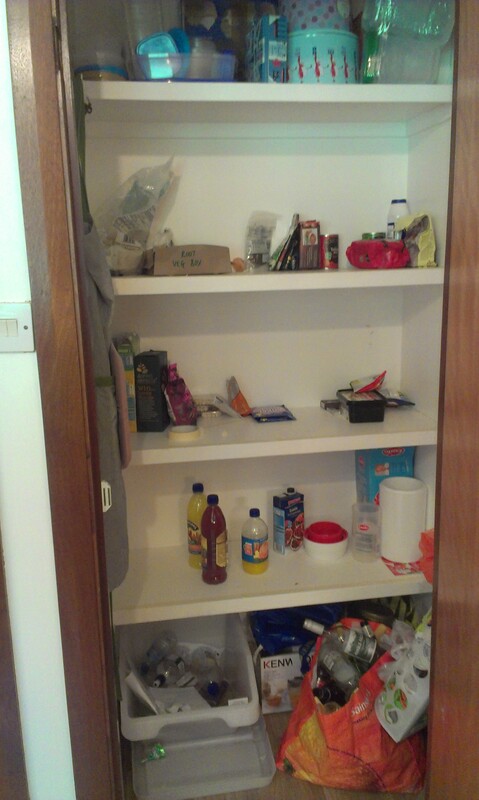 We were also waiting for a food delivery from Sainsburys, so our pantry looks even better now that it isn’t so bare! 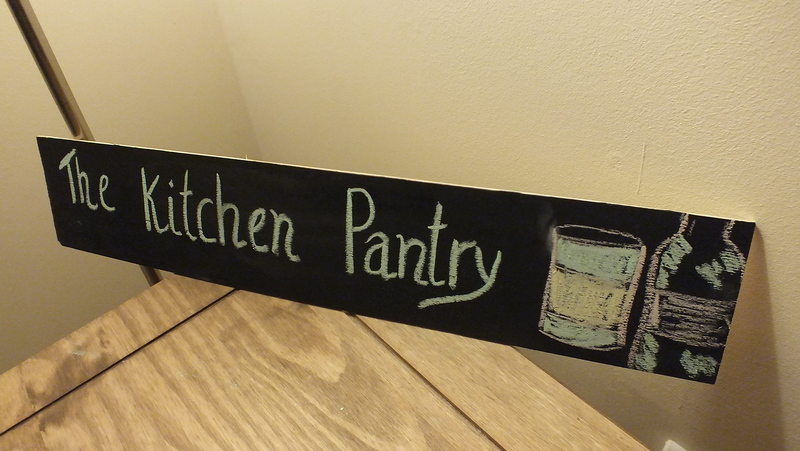 Finally I decided to spruce up a piece of wood with some blackboard paint with a door sign. Our pantry door is next to the kitchen door so a wee sign was needed to differentiate (so any houseguests don’t get confused!) Again this was so easy, the blackboard paint dries within about 30 minutes and although it’s recommended to do a second coat, I didn’t. I then had a debate with Mr B as to the difference between a ‘pantry’ and a ‘larder’, you’ll see from the below picture that I went with ‘pantry’! Now I’m on the hunt for more craft/presents to make that I can incorporate my seemingly endless pot of blackboard paint! Do you have any ideas?